Looking at the animated films that came out in 2006, there are a few that I consider to be underrated: Curious George, Flushed Away, and the subject of this review, Monster House. The story behind this film follows a kid named DJ, who starts to notice strange things happening in the house across from him, mainly that the house itself is alive and is eating people. And as expected, he tries to tell people about it but no one believes him. So it’s up to him, his friend Chowder, and a girl named Jenny to defeat the evil house (that’s a sentence I just wrote) before it devours any more humans. But later they discover the true powers behind the house and uncover a hidden truth about it. The premise behind a house that eats people is a pretty interesting and creepy idea, and they do take full advantage of it here. The things they come up with to make the house move and feel more alive are very creative, like the carpet being a tongue, the furnace being the heart, windows being eyes, trees being arms. They really did put thought into how to make this house come alive. There is also a legitimate creep factor to the whole thing. There is some suspense in seeing what this house is going to do next and how it can possibly be stopped. Even the backstory behind the owner, Mr. Nebbercracker, and why the house is haunted is not only haunting, but also kind of touching. I won’t spoil what it is, but that backstory is easily the best part of the movie. It also helps that the kids themselves are pretty likable. I did like their interactions with each other and the actors voicing them do a good job. Really the big fault with this movie is with the animation. And sadly this is one aspect that does not hold up at all. The film was produced by ImageMovers, the same studio responsible for The Polar Express and A Christmas Carol. And if you thought the designs in those movies looked cold and lifeless, you haven’t seen anything yet. The motion capture work almost makes them move too stiff and they almost look like models out of an early Play Station game. There’s even some moments where their hair doesn’t move. It’s very unnatural. But honestly I was able to overlook that for the most part. 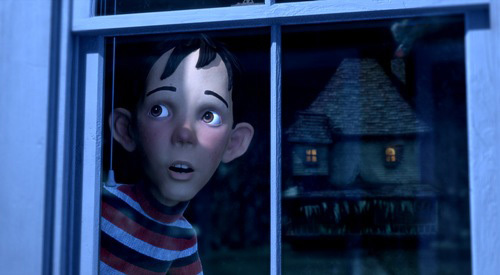 Really on the whole, Monster House is an enjoyable film with some good creepy atmosphere and likable characters, even if sometimes the humans look more creepy than the house does. If you’re in the mood for a good monster flick or you want something to watch when Halloween rolls around, I’d give it a watch. 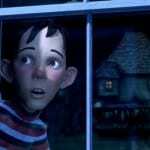 Is Monster House on your Halloween season list? Sound off in the comments!